In the Version 12.x CYMA demo company, a medical benefit (AETNA) has been established as an example. A medical benefit may require the use of an employer and an employee bracket table. In this case we've established these: Aetna PPO HSA Employer Portion and Aetna Plan Employee Portion, respectively. 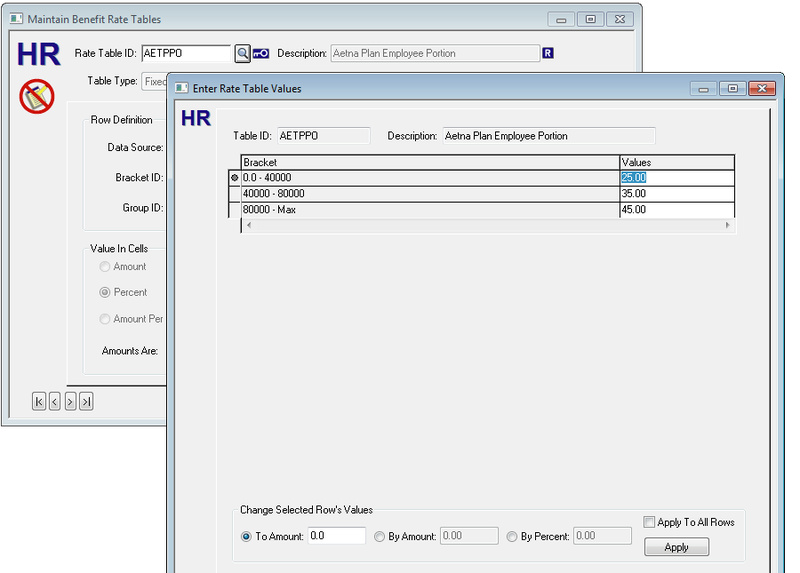 For the AETNA employer rate table, rows are equal to coverage type (established in Step 4) with an amount equal to the monthly medical premium. 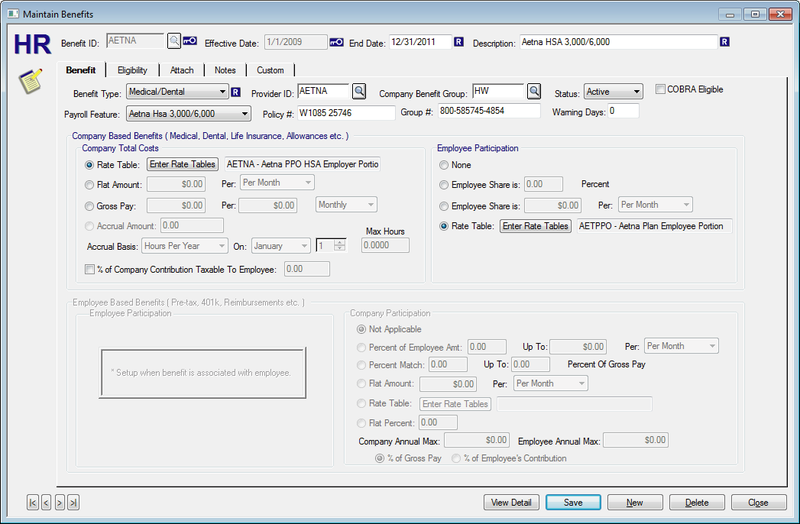 For the AETNA employee rate table, the table defines how the employee will share in the medical benefits cost. In this example a range of salaries defines what % of the benefit the employee will pay. Most medical plans will follow these models; however, you should establish your own tables based on your company specific benefit plans. CYMA's eDesk has tutorials on setting up a benefit and setting up bracket tables. Please consult with CYMA if you have any questions regarding establishing rate tables. After establishing and assigning rate tables to the benefit, now setup Eligibilty rules. Choose the tab and setup your criteria. Once the eligibility rules have been setup, click Save and let's move on to the Step 6: Enrolling Employees.